Discover what makes HSA Dermal Clinic the most capable and committed Epson skin clinic for all purposes. We offer an extensive range of non-surgical treatments for men and women across the region. As a leading name in aesthetic skincare for London and Surrey, we understand the value of complete customer commitment. If looking to restore your skin’s youthful glow or perhaps address a longstanding condition, you can count on our advice, expertise and unrivalled experience. Call today to organise your obligation-free consultation at our Epson skin clinic today. HSA Dermal Clinic works hard to remain on the cutting-edge of the industry. We exclusively provide the most advanced, non-surgical alternatives to more traditional cosmetic procedures. State-of-the-art technology is used in conjunction with the world’s most advanced skincare products to deliver consistently superior results. 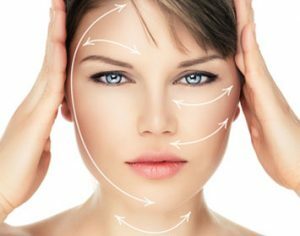 Popular services provided by HSA Dermal Clinic include Dermal Fillers, Botox, jawline enhancement, Radiesse treatment, mesotherapy; acne scar treatment, ZO Obagi and Alumier MD bespoke skincare products and a complete range of cutting-edge chemical peels. What’s more, we outperform the more typical Epsom skin clinic by tailoring the services we provide to meet our clients’ exact requirements. Our commitment to flexibility is total and we’ll stop at nothing to exceed your expectations. Contact the team at HSA Dermal Clinic today to make an appointment, or to discuss the services we provide in more detail.